Hey Guys! Stil using the old version of Microsoft Office? Office XP or 2003? Then you could be trapped several times! Because Office 2007 or later versions save your file with extension x. Such as docx, pptx, xlsx. Last year I published a post about how to convert DOCX to DOC Online. 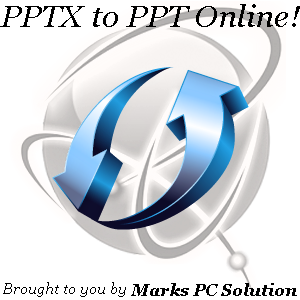 And this time, I am gonna show how to convert PowerPoint files - PPTX to PPT Online! Actually I've found a nice tool for you. With this tool you can convert your files within this page! Look at the online converter below. You just need to upload your PPTX file to convert. Now locate your PPTX file from hard disk and select it. Hit on the Convert PPTX to PPT button. Remember: This site doesn't store your converted file. And it will be removed permanently after 1 hour. Do you need to convert more files? Multiple file formats? 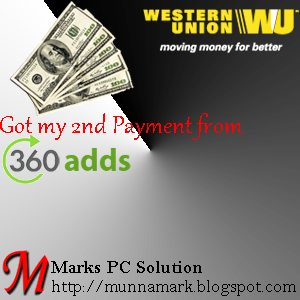 Instant Document conversion has everything you need to convert! There are more than 150 conversion formats! Can you imagine? Note: I've tried for 20 minutes. But couldn't find the main page of the site. The URL changes with every conversion type. When I open PPTX converter, it shows pptx2ppt.com. And when I choose DOCX converter it shows docx2doc.com. And when I go to PPTX to DOCX, it starts with pptx2ppt.com. That's why I can't directly share the site URL. There is no home/ main page!! If you ask someone - What's new in Windows 8? There could be 100 answers. But what should come first? Definitely Tiles. With live tiles, Windows 8 has got an absolutely different look. But most of the PC users are not comfortable with this attractive feature! Users are often confused while working. Today I'd like to discuss about working with Windows 8 Tiles. What are the Tiles Actually? In fact, tiles are the modern look of previous start menu. Due to the growing demand for Smart Phones and Tablets, the sales volume of desktop and laptop PCs is falling down. And ultimately it hits the market share of Windows. And definitely the future of Windows was at stake. And that's why Microsoft was looking for innovation. Windows Team was trying to make an operating system which works with PCs, tablets and mobiles. Windows 8 is such an operating system. And live tiles have been added to Windows to make it more popular. 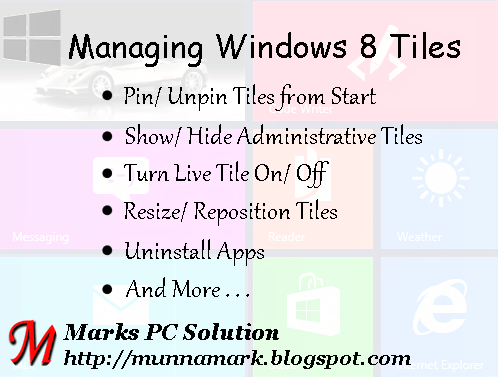 Windows Tiles let you do many things which are not possible by traditional Start Menu. 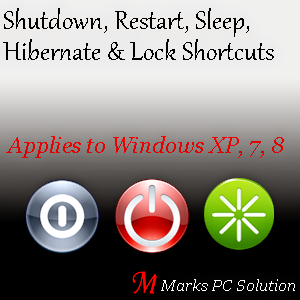 This post is for the new users of Windows 8. And if you're afraid of upgrading your OS to Windows 8 due to the tiles, hopefully you will be interested to upgrade after reading this post! Let's start . 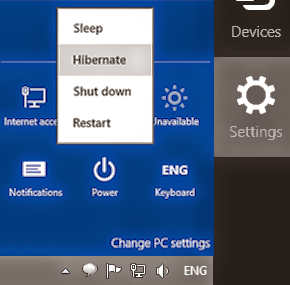 . .
After opening PC, Windows 8 will take you to the start screen first. And what you see in the start screen, is known as tiles. Some of them are live and others are not. You can go to the Start Screen by pressing Start Button. Windows 8 has some built in apps which can be accessed from start screen. And when you install a new program, you will get the shortcut in the Start. But sometimes you may need to unpin tiles from start. Or you would like to pin something to the start screen. By default, Administrative Tiles are hidden from start menu. Even on earlier version of windows, you have to open administrative functions from Run. But if you show Administrative tiles, you will get many handy tools from there. To show Administrative tiles, Press Start > Move your mouse to upper corner to open Charm > Hit on the Settings gear > Choose Tiles > Show Administrative Tools > Slide to option No to Yes. Live tiles are the most attractive features of Windows 8. But to enjoy the live tiles, you have be connected to the Internet. And net speed should not be absurd! I recommend minimum 512 kbps net speed to work with live tiles. News, Sports, Weather, Mail, Message, Windows Store and what you need? Live tiles will be updating always. But if you are using a limited bandwidth, then live tiles are not for you. :( It may consume huge amount of data. So you have to keep them turned off. To turn off a live tile, you have to click right mouse button over that item > Now choose Turn Live Tile Off. But if you see Turn Live Tile On, that means the item is already turned off. Resize: Click right mouse on an item, and choose Smaller or Larger. Remember, some items are not resizable. And in Windows 8.1, you will find more shapes of tiles. But in Windows 8, you will get two shapes only. Reposition: Just hit on an item and drag. Place it anywhere. In Windows 8, there is no group of tiles, But in Windows 8.1, tiles are divided into groups. Even you can rename a group. Open 3/ 4 apps randomly. Now move mouse pointer to the upper left corner of your screen. You will see the app thumbnails as the image shows above. Choose an app that you wanna jump into. You can also press Alt+Tab to switch between programs. To close an app, you have to press Alt+F4. Or you can use your mouse too. Move your mouse to the top of the app. You will get a hand icon. Now drag it to the bottom. Your app will be closed. Note: Never run too many applications at the same time. Your PC will be slow down. So, close all the unnecessary applications to work smoothly. You can uninstall built in apps from Start. Because these apps can't be removed from Control Panel. Click right mouse button over an item and choose Uninstall. It will be removed immediately. BIG Deal! It's almost a 1000-word post. I get nothing more to clarify. But if you have any question/ query regarding Windows 8 Tiles, don't hesitate to leave a comment. I'm here to serve you . . .
Icon is a special type of image format. And normally it's not used to share photos or images. Usually icons are used in folder or hard disk drive to distinguish it from others. And normally icon is small in size. It maybe 16x16, 32x32 or 64x64. 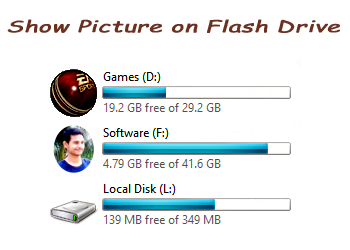 Do you remember, In 2012, I wrote a post about Showing Picture on USB Flash Drive. And that custom picture must be an icon. That means the picture format must be .ico in order to show in USB drive. iConvert Icons: Convert Icons Online for Free! To convert an image into icon, hit on the above image or directly follow this URL. And then you can easily create icons. Hit on the Browse button to locate your image from Hard Disk. Now choose image from your PC and hit on the Convert button. And believe me, with a single click you will get icons for Windows, Mac and Linux! All the three icon format .ico, .icns and .png will be available to download. Hit on the download button which you like. Before converting an image, hit on the Options button to choose what format do you need. And what will be the size. Tick mark the options. If you are bored with browsing and choosing the image from your hard disk then you don't need to be upset. iConvert has drag and drop option too! 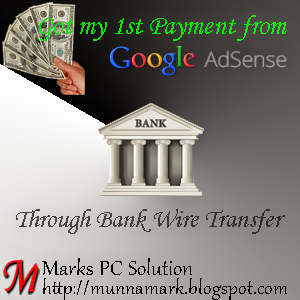 Go to the above link. Drag an image or icon into the following area of that page. Within few seconds, your image will be uploaded and converted. 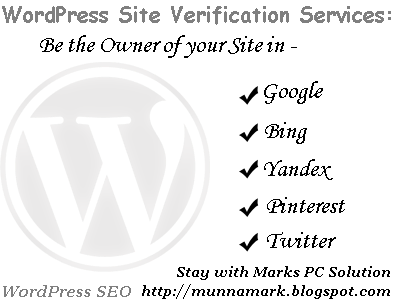 After finishing the conversions you will get your image in the following icon formats. Hope this will be helpful for you. To get more tips, please visit our Tips n Tricks Page.